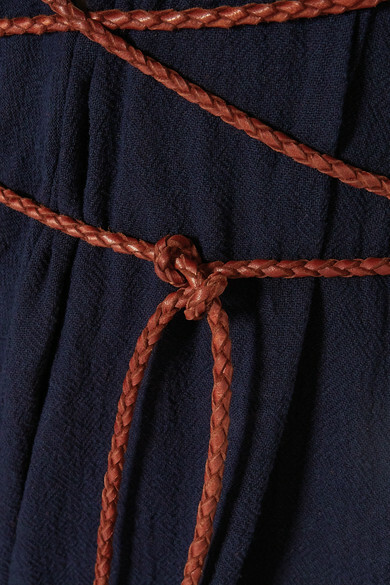 Caravana's beach cover-ups are handcrafted by skilled artisans in Mexico using traditional Mayan techniques, so you know each piece is truly one-of-a-kind. 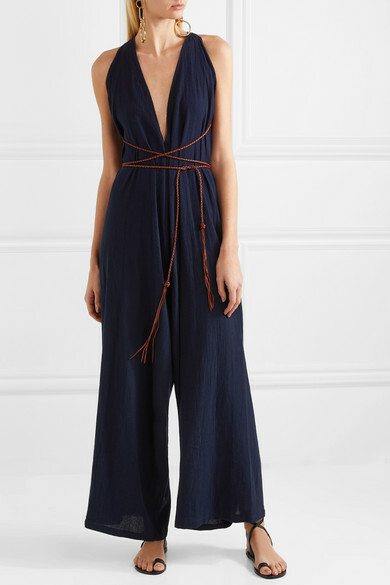 Made from breathable cotton-gauze to keep you cool, this 'Pakkun' jumpsuit has a relaxed silhouette with a plunging neckline and supple braided leather ties. Wear it on vacation with flat sandals and a woven basket bag. Shown here with: Carolina Santo Domingo Tote, ATP Atelier Sandals, Chloé Earrings.